Nau mai, haere mai, welcome to our April newsletter... and welcome back Sirocco! In early February hard effort by rangers Jake and Sara paid off and Sirocco was once again relocated. He was happy and well and was quickly fitted with a new, working transmitter so that we will be able to find him again. 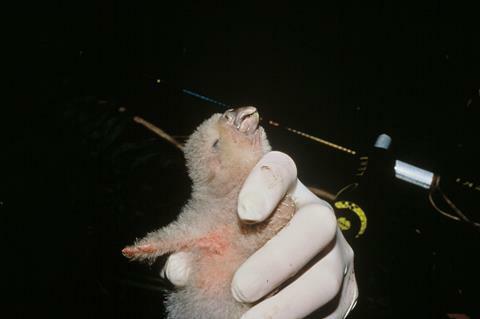 Sirocco was the first male kākāpō to be hand reared after he suffered from a respiratory illness as a chick. Due to this he was hand reared alone and imprinted on people. 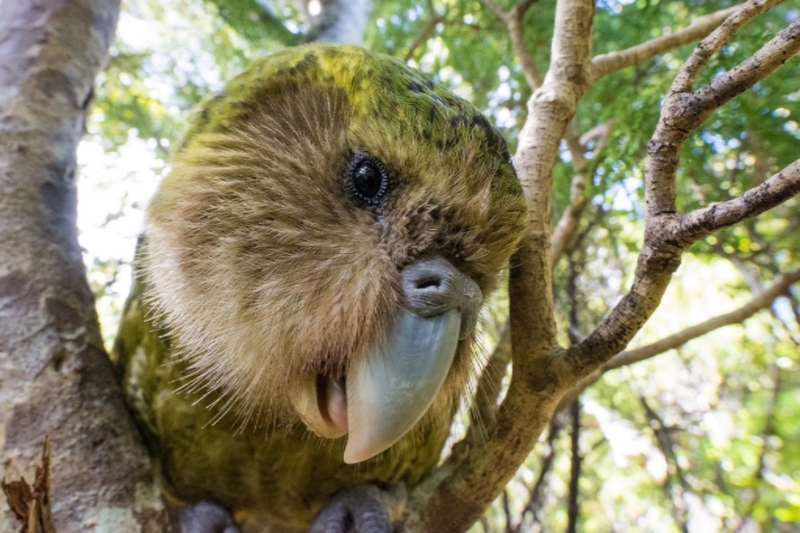 As an imprinted bird he’s not interested in contributing genetically to the kākāpō population, but it does mean that he makes a fantastic ambassador as he enjoys being around people and doesn’t find it stressful. Despite it almost being two years since we’d last seen him, he remains fairly social and was happy to accept treats from the rangers. 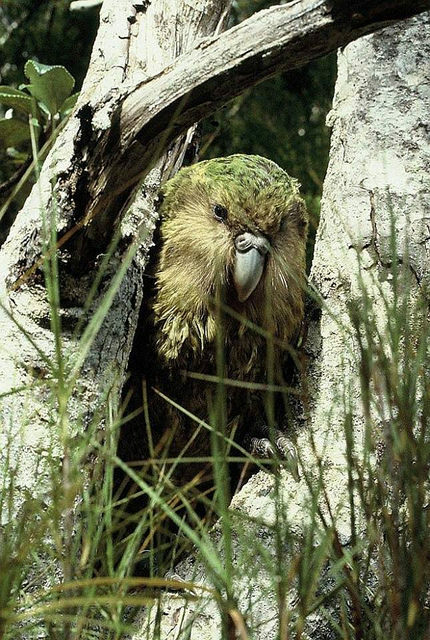 The kākāpō population has reduced to 149 following the deaths of three birds. Jimmy was found injured and suffered complications following a veterinary examination on his suspected broken wing. He was one of the original founders relocated to Whenua Hou from Rakiura. The most recent loss was Dobbie who was found dead not far from his track and bowl system on Hauturu-O-Toi. Dobbie had been a strong healthy bird and at 27 years old, was relatively young. Males sometimes fight with each other over prime track and bowl locations. While we don’t know for sure, it’s possible that Dobbie died following one of these territorial fights. We also lost Kōtiu, a two year old juvenile male, who was found dead with no clear cause. It’s always sad to lose such a young bird, and his was especially so as he was one of Nora’s first chicks in 35 years. Tane Davis has represented the Māori tribe or iwi of Ngāi Tahu on the Kākāpō Recovery Group since 2005. Ko Hananui me Tākitimu ngā mauka. Ko Ōraka Aparima te wāhi kāinga. 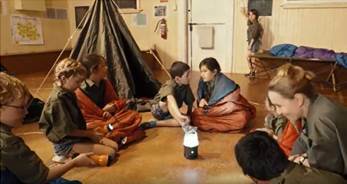 Ko Takutai o te Titi te marae. Ko Te Moana a Kiwa te moana. Ko Whenua Hou te motu o ngā tīpuna. Ko Waitaha, Kati Mamoe, me Kāi Tahu te Iwi. Ko Tane Davis tōku ingoa. 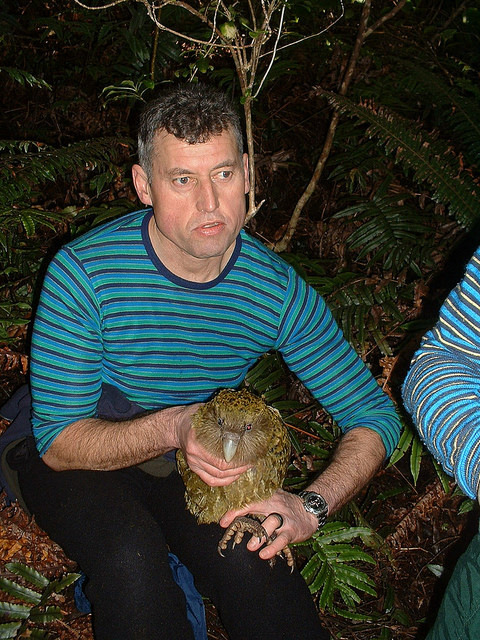 Through the Ngāi Tahu Deed of Settlement I have been the TRONT (Te Runanga O Ngāi Tahu) representative for the Kākāpō Recovery Programme for over a decade. We are working together to save a taonga from extinction. 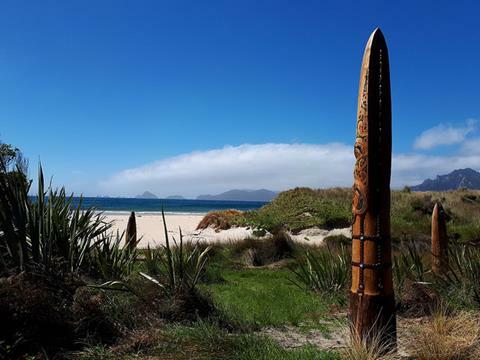 Kākāpō are connected to Ngāi Tahu in a significant way through tikanga (custom), mātauranga (knowledge) and wairua (spirit). Ngāi Tahu are kaitiaki (guardians) of the kākāpō. My involvement helps ensure these cultural connections to kākāpō bring added value to preserving the mauri (life force) of these birds. Hear Tane talk about travelling with Sirocco. 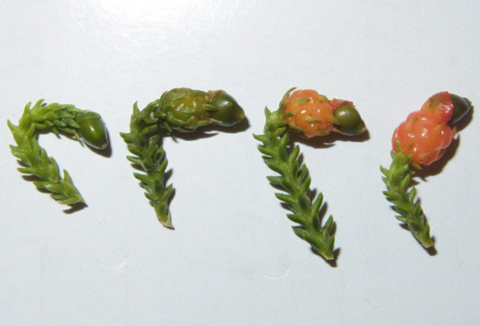 Rimu seed counts are very high! This suggests we may be in for one of the biggest breeding seasons ever seen by the Programme. A harsh winter and strong spring winds may knock developing fruit from the trees, so we’ll recount before the summer. There’s a lot going on behind the scenes to keep the engine running and ensure we’re ready for the season ahead. 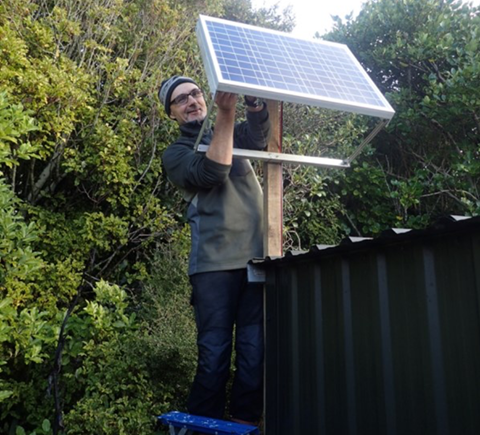 A big thanks to Meridian staff who have been lending a hand on Whenua Hou with a wide range of work including providing their expertise to help improve our power systems there. 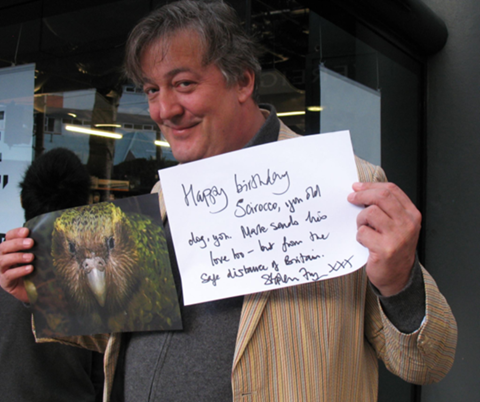 On the 23rd of March we celebrated Sirocco’s 21st hatchday, with people from all over the world creating art, songs, cards and cakes. We raised over $5000 to put towards Sirocco’s wish of caring for all of the 2019 chicks. 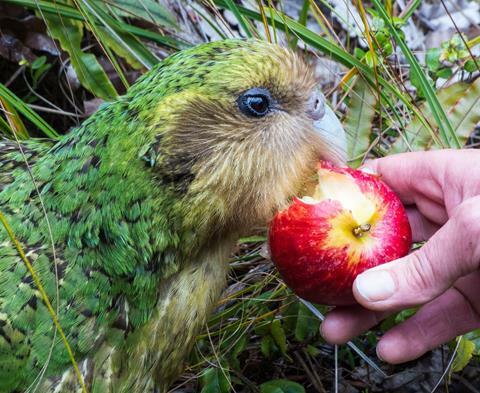 A big thanks to BOSTOCK New Zealand who proudly support the Department of Conservation Kākāpō Recovery project by supplying healthy organic apples to feed & nourish kākāpō chicks and the amazing staff behind this project. FLOAT is putting together another great t-shirt campaign to raise money for kākāpō. But this time the kids are going to come up with the winning design. Entry forms are online now www.doc.govt.nz/kakapo-shirt with the competition closing 27 July. Get creative! 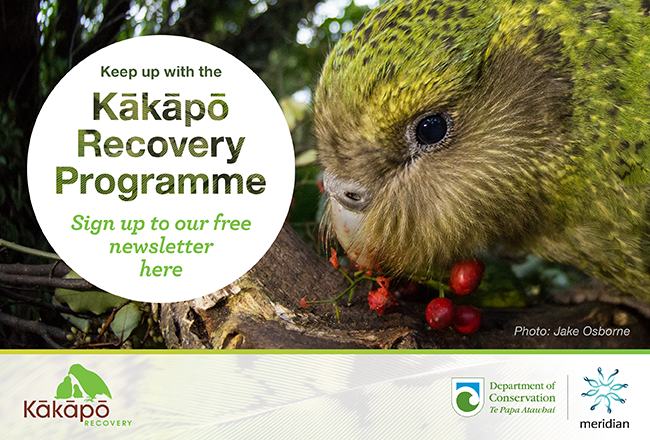 Join our group of curious “kākāpō adventurers” in the latest video clips that introduce children to the world of Kākāpō Recovery, thanks to our National Partner Meridian. Last year we learned about how kākāpō get around in Episode #1 and why they need our help in Episode #2. 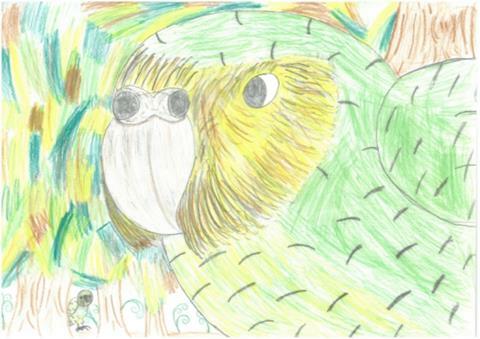 Don’t forget about our range of other resources to guide children in further exploration about our favourite parrot!